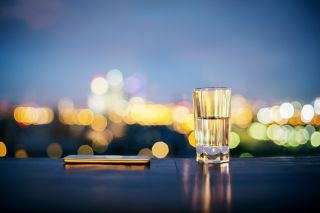 Beyond the difficult decisions regarding which type of LTE to deploy, operators also face challenges in the methods they select for ensuring reliable, high bandwidth access to the LTE cellular network. Again, there are several choices, many of which will be determined by the topology of the area served, the availability of fibre for backhaul and the access rights operators can secure. Fibre-less optical technologies, small cells and distributed antenna systems are among the options. It’s a confusing area and there are few established practices and reference cases to learn from. It’s easy to lump small cells and distributed antenna systems (DAS) together, but they are different technical answers to the question of providing access and can be applied in different situations. That cost issue is also identified by Shayan Sanyal, chief commercial officer at Bluwan, which offers a fibre through the air last mile access and backhaul for wireless networks solution. ‘DAS solutions providers are looking to emulate what is happening with small cells and there is a solution fit for DAS outdoors, although in our view it is heavily reliant on fibre connections,’ he says. ‘The issue in DAS versus small cells is primarily in the cost of deployment for operators having to access dense dark fibre. Unless you’re in South Korea, a lot of operators don’t have dark fibre and have to rely on providers like Crown Castle or others. That puts the DAS business case in jeopardy,’ suggests Sanyal. Julius Robson, wireless technology consultant at Cambridge Broadband Networks, thinks both technologies face challenges in terms of site acquisition and managing the costs of their deployment. Frank Oehler, vice president of sales at Ubidyne, explains the problems deployment of each technology may encounter. ‘It is quite a different planning activity between the two and it is very interesting to see how the American operators are approaching DAS and small cells,’ he says. ‘There are buildings that AT&T chooses to take over such as football stadiums in which it uses dedicated indoor planning tools. For small cells the problems are different. Small cell output is fairly low so you need multiples of that which results in a disaster in site acquisition terms. Once you’ve done all the negotiations to get all the lamp posts, you then have to get access and electricity. Small cells will only have power when a lamp is switched on so the whole site acquisition and management is a problem,’ argues Oehler. That’s part of the reason why third party providers are carefully considering their approaches to serving operators. ‘Each mobile operator is making very specific choices when it comes to small cells and therefore its much more straightforward to host whichever cell they choose,’ adds Baugham. With a shortage of radio frequency experts already evident, being able to deploy without needing an expert is critical. ‘You don’t need to be a rocket scientist to install a small cell,’ points out Sanyal.